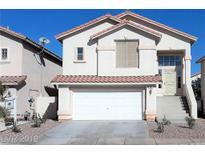 Below you can view all the homes for sale in the Silverado South subdivision located in Las Vegas Nevada. 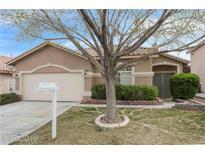 Listings in Silverado South are updated daily from data we receive from the Las Vegas multiple listing service. To learn more about any of these homes or to receive custom notifications when a new property is listed for sale in Silverado South, give us a call at 702-323-5939. Close to shopping, dining, parks, freeway. A must see! MLS#2089439. BHHS Nevada Properties. Separate Living & Family Rooms; Huge Kitchen Offers Granite Counters, Breakfast Bar, Lots of Cabinets & Large Walk-In Pantry; Gas Fireplace in Family Room; Ceiling Fans; Large Master Bedroom with 2 Walk-in Closets. MLS#2083572. Keller Williams Market Place. Conveniently located close to schools, shopping & freeways MLS#2082584. GK Properties. Home is ready to move in! MLS#2060557. Centennial Real Estate. 2 Story Home Centrally Located In Silverado Ranch*easy Access To Shopping, New Sprouts Market,Schools And Park Within Walking Distance*easy Freeway Access*open Floor Plan With Large Living Room With Ceramic Tile*spacious Bedrooms*2nd And 3rd Bedrooms Share A Jack And Jill Bathroom*extra Large Master Bedroom Has A Walkin Closet With Natural Light*situated On A Quiet Cul-de-sac Lot*easy Care Desert Landscaped Front And Back MLS#2057064. BHHS Nevada Properties. No need to look elsewhere/community close to everything/shopping/schools/entertainment and restaurants/Call List/agent first WELCOME HOME :) MLS#2055543. Black & Cherry Real Estate.